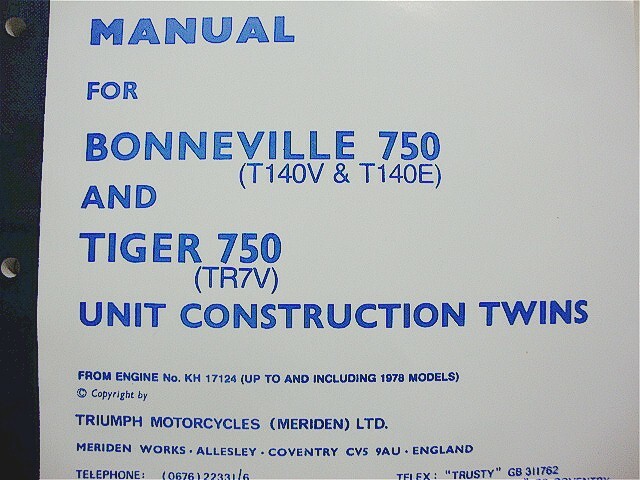 Work shop manual for 1971 to 1973 650cc models. Quality reproduction of Triumph original. Paper cover. 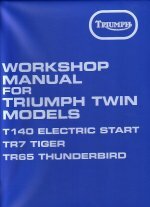 Work shop manual for 1973 to 1978 750cc models. Does not include "E" model. Reproduction of Triumph original. Paper cover. 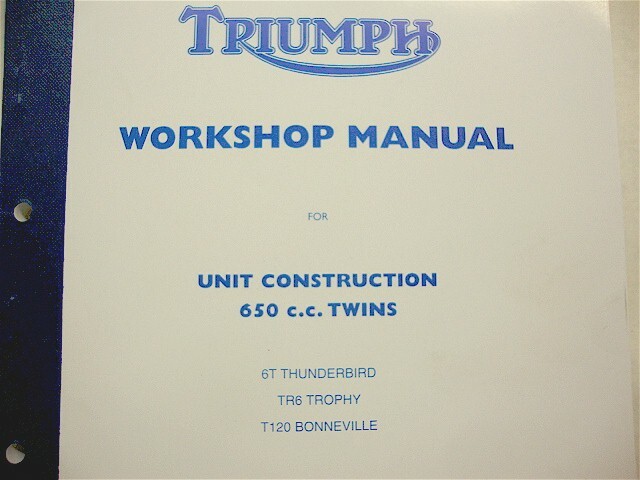 Work shop manual for 1979 to 1983 Reproduction of Triumph original. Paper cover. 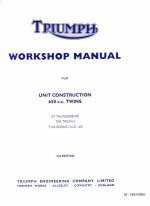 Work shop manual for 1979 to 1983 650/750 models. Original type in binder.